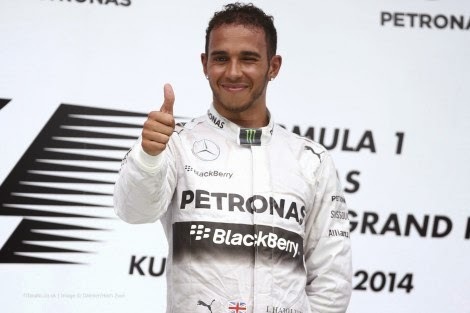 And so this young man has regained his lead position after tonight's victory in the Singapore Grand Prix 2014. With excellent composure and performance, the 29 year old lead the 61 lap race from pole position until interrupted by safety car. Nevertheless, at closing stages he managed to overtake Vettel for the win.